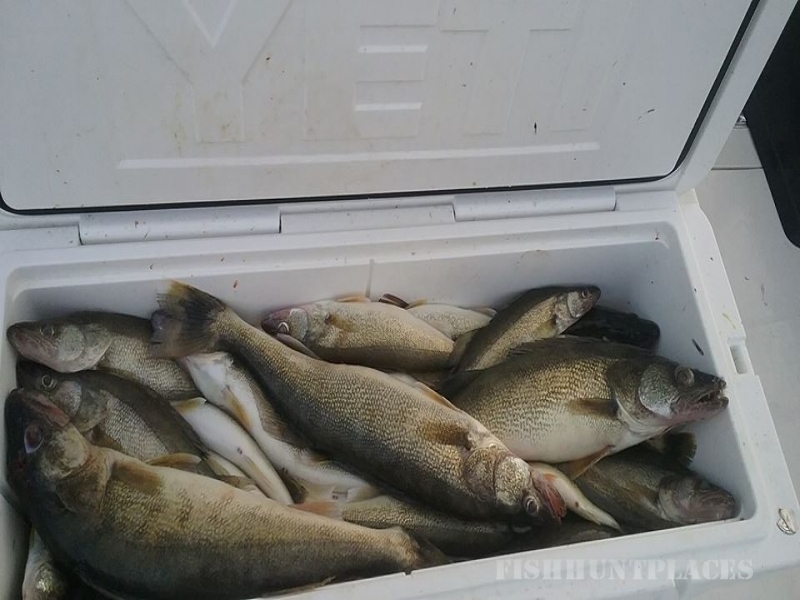 Fish western Lake Erie for Walleye, Smallmouth Bass, and Perch aboard the Reef Bobber IV. The Reef Bobber IV is a 28 foot Marinette Sport Fishermen with a beam of 11 feet. The fishing deck is large enough to accommodate up to 6 fisherman and crew with large coolers for seating. Under the convertible soft top is seating for 9 to get out of the sun and weather. Under the bow is plenty of room to store your gear and a toilet for when nature calls. The boat is fully equipped, insured, and Coast Guard inspected and approved. Our Captains, Brad Miller and Dan Cooksey, are United States Coast Guard and State of Ohio Licensed Guides with a lifetime of experience. When fishing with us, we try to keep the travel time to a minimum and the fishing time to a maximum, although we will travel as far as needed to get the fish. 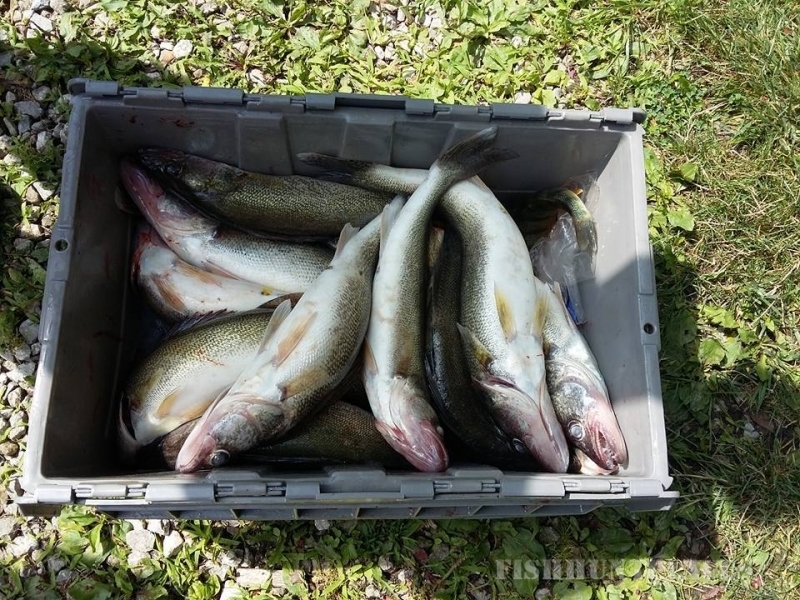 One of the benefits of fishing in the Western Basin of Lake Erie, when the waters are to rough, we can find a spot to hide and fish on the protected side of an island. We also work along side with many other charter captains, so if you have large group or a corporate event we can accommodate your group with multiple boats. 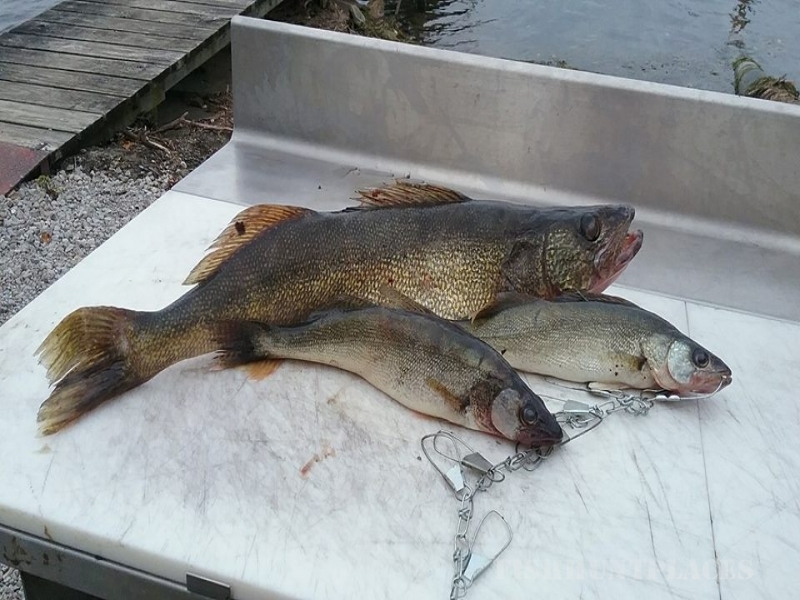 Walleye and Bass: We only drift or cast, no trolling. 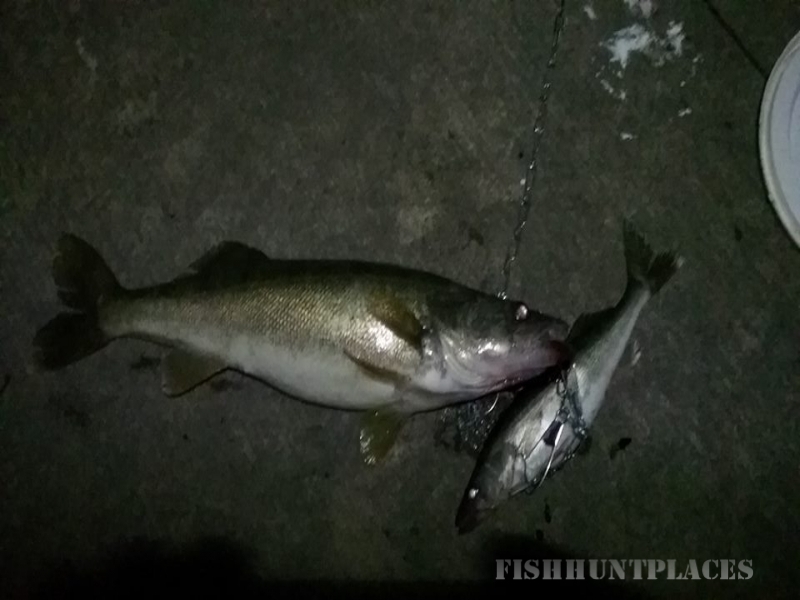 For walleye we use a variety of weight forward spinners and worm harnesses tipped with a night crawler. If you choose to bring your own, anything with a gold blade works. Call to find out what the "hot lure" at the time is before you buy. For bass we use the same as walleye but will also use crayfish (extra charge) crank baits, tube, and grub jigs. 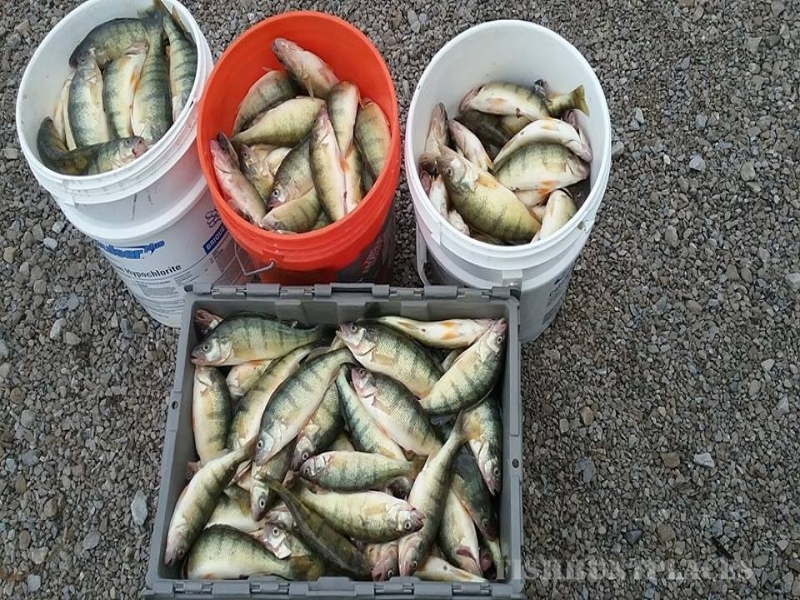 Perch Fishing: We set anchor and drop hooks tipped with minnows. It may not sound as exciting, but when the bite is on you can bring 2 up at a time. 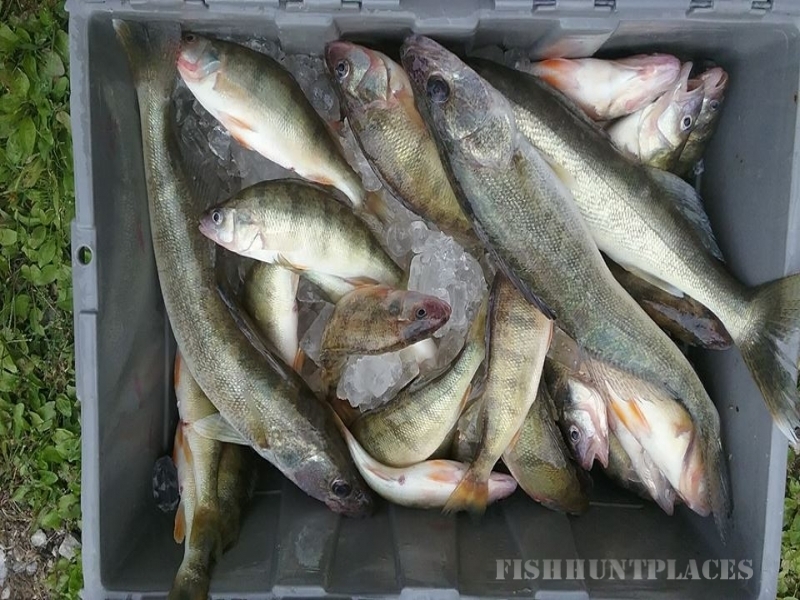 As with any fishing, you never know what you might bring up, walleye and bass are not uncommon. 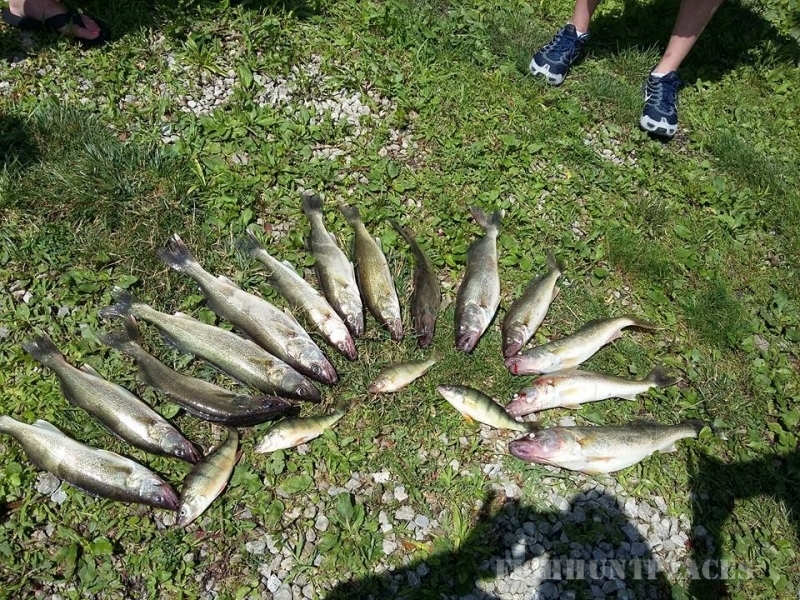 In fact the Ohio State Record Walleye was caught while perch fishing. 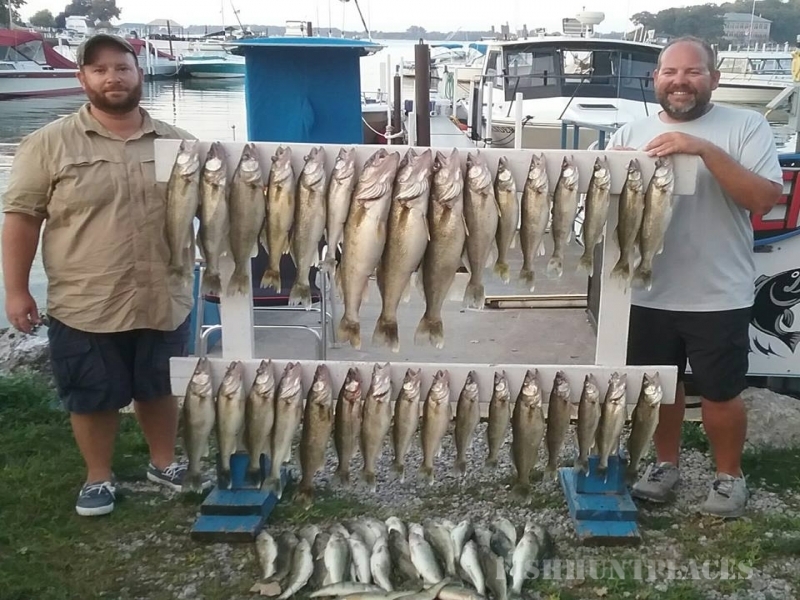 This is great fishing for kids and those who would like a more leisurely day on the water.